Immediate payment of £11.23 is required. 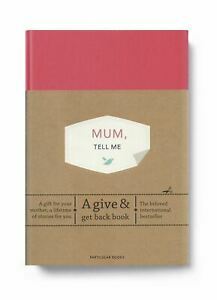 A lovely gift to give to your Mum . Something to treasure in later years and handwritten especially for you. Five star rating . A wonderful gift. Can’t wait to spend time writing this up in the coming years. I won’t rush it.